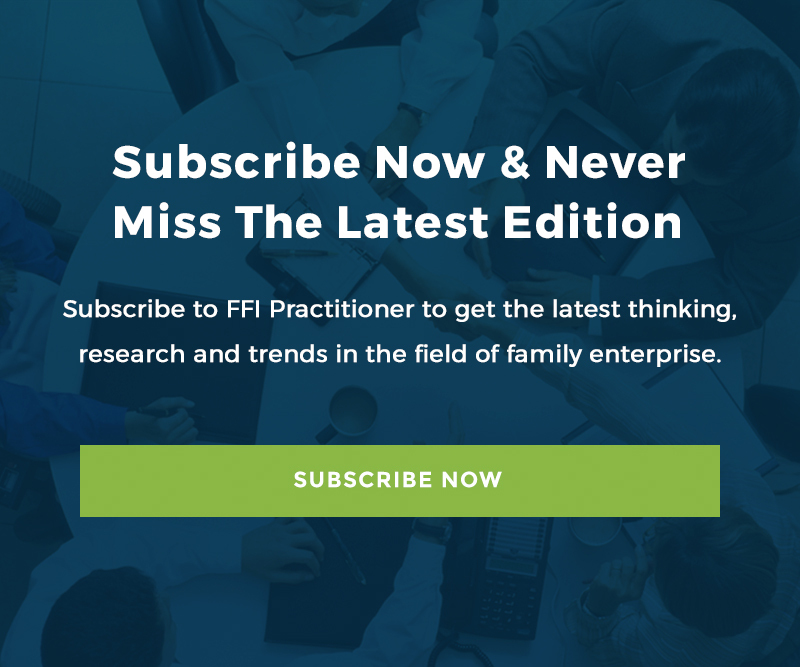 This week’s edition includes five podcasts featuring the authors of provocative articles recently published in the Family Business Review. This year’s final installment of assistant FBR editor Karen Vinton’s executive summaries recaps three articles from the December 2013 issue of FBR, which examine managing the boundary between family and business. This week’s invited blog extends a conversation on philanthropy and the role of family enterprise advisors that began at an educational event at the FFI global conference in San Diego in October.